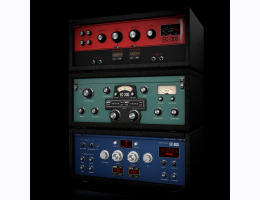 The EC-300 Echo Collection brings the sounds of dozens of echo and chorus effects into a single plug-in. The three delay types – Magnetic, Digital, and Analog – come with a generous collection of user controls, plenty of character modes, highly stylized visual feedback, and McDSP’s nearly two decades of gear modeling experience. Each EC-300 delay type comes with additional character modes to create new and unique sounds. Other delay features include adjustable saturation, wow and flutter, delay output ducking, in-loop filtering and EQ, and level control at the input and output stages. The EC-300 can operate in single, dual, and ping-pong modes, and delay time can be synced to session playback or to a tapped tempo. McDSP plug-ins support Mac OS 10.7.2 or later, and Windows 7 or above.